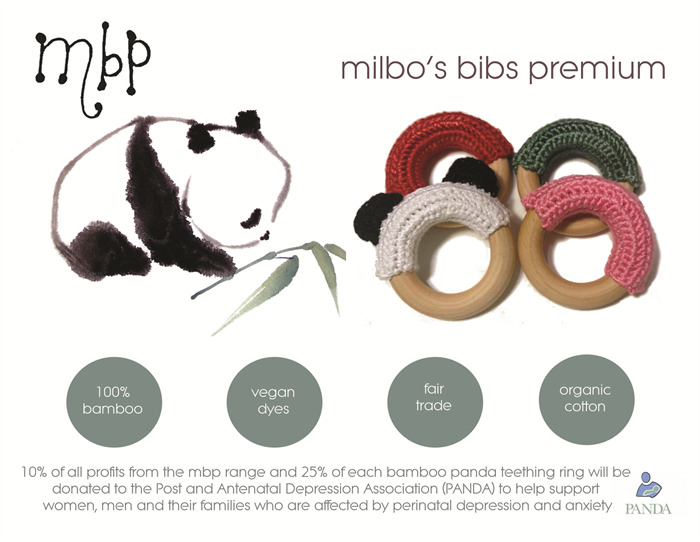 Milbo's bibs premium (mbp) teething rings - using 100% bamboo - a totally renewable and non fuzzy fibre with very little eco footprint, hand dyed by a little collective of South African women with vegan food dyes, and dried in the sunshine, producing a lovely variegated colour. 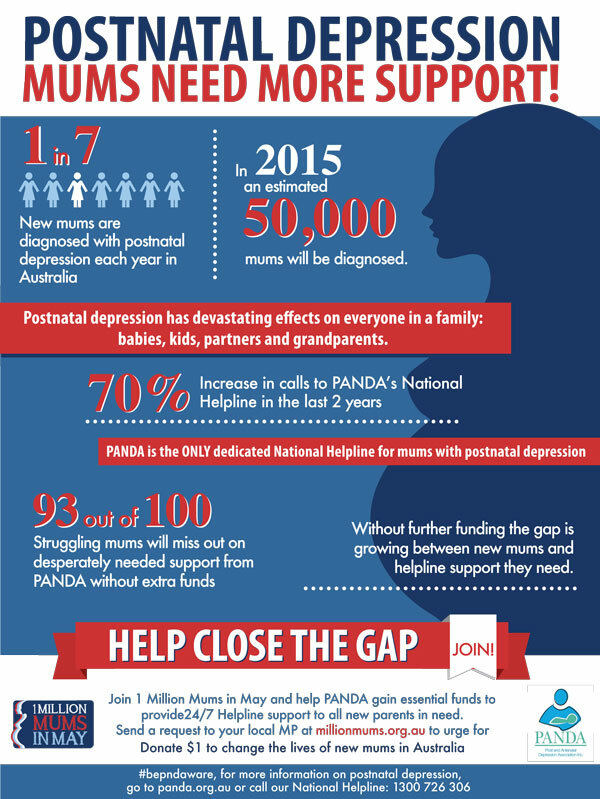 Available in solid style (as pictured) and in panda style! We know how important it is to provide untreated and chemical-free products for your family. 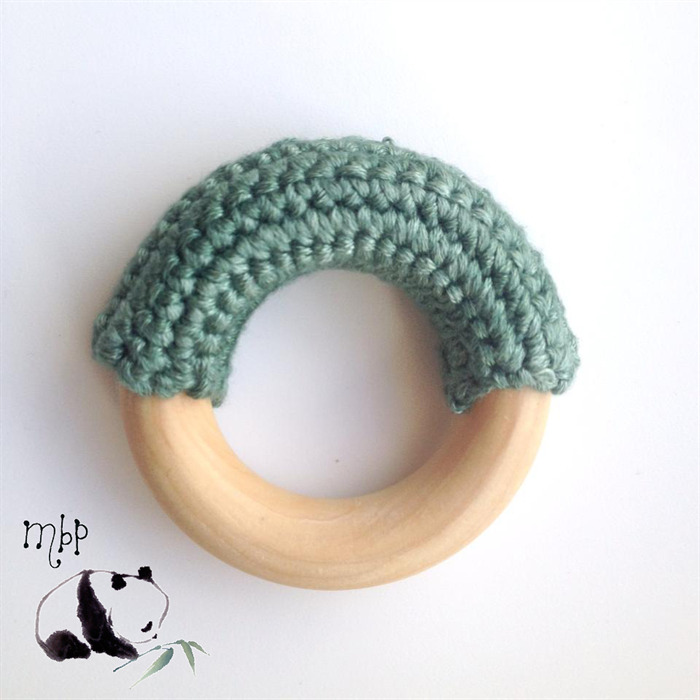 mbp teething rings make perfect teething rings as they provide both a soft and hard surface for bub to cut new teeth on and to soothe the pain in their gums. They are just waiting to be grabbed, clanged, chewed, and thrown without any worries of chemicals, paints, plastics, lacquers, or other toxins. 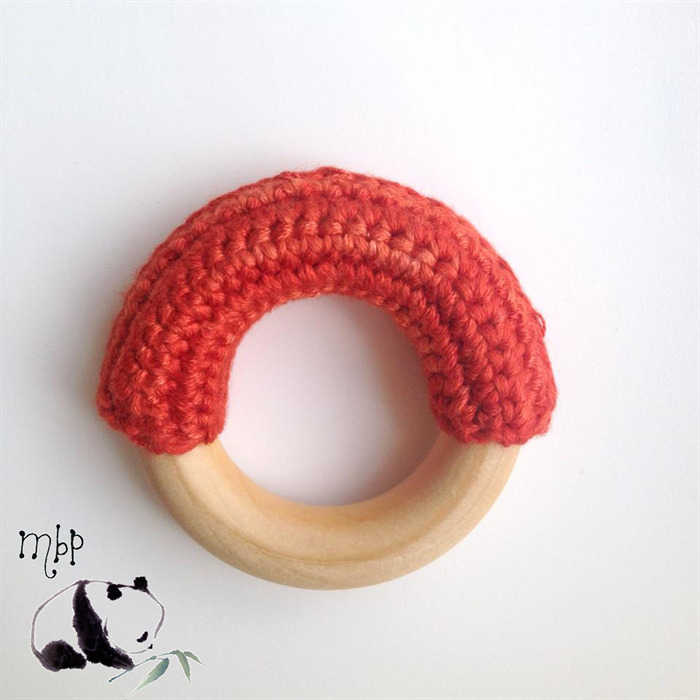 mbp teething rings are made from natural Maple hardwood that has been hand brushed with organic beeswax and olive oil. Beeswax is a great natural treatment for wood. It blends well with the oil to give a better seal, preserve the life of the wood, and protect the wood from splintering. 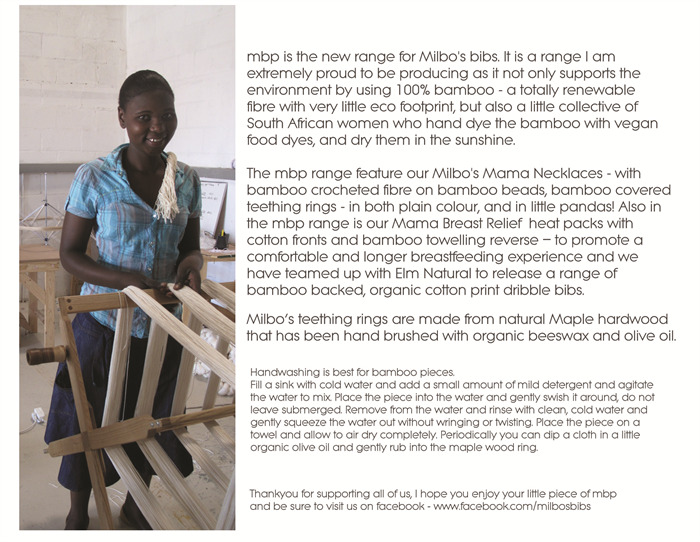 Milbo's Bibs accepts Paypal and EFT payments. Fundraising and wholesale customers can only pay by EFT (electronic funds transfer) to our bank account. Orders paid for by direct deposit will not be processed until payment has been received. Please ensure that you include the order number/invoice number in the transaction description. Payment processing will not begin until we receive all the information we need. Orders placed on a weekend or a public holiday will not begin payment processing until the next business day. Business days are Monday to Friday, excluding public holidays.